Pastry Chef Penny Wabbit and her team have worked their culinary magic to create two brand new Not Afternoon Tea Plates perfect for the new year, and the popular Taywell Preserved Plate, with its spiced berry flavours, will also continue to feature on the menu. 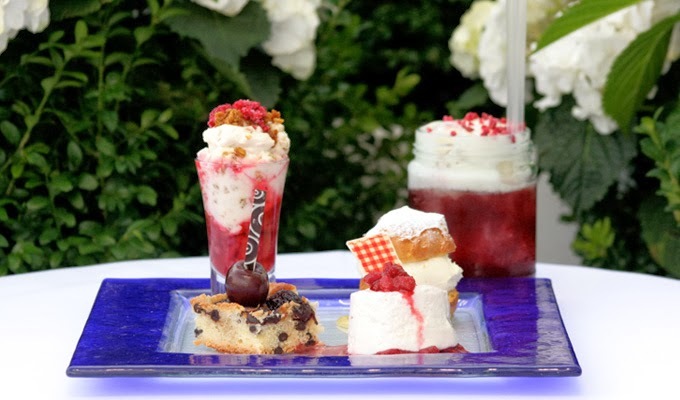 As always, each plate is paired perfectly with a bespoke cocktail created by the OXO Bar team. A winter twist on Sangria. Appleton VX rum with Amerana cherry syrup shaken with Laphroig 10 yo. Topped with apple foam. £34.50 including two bespoke cocktails. Available in the OXO Tower Brasserie Sunday to Friday from 3pm – 5pm and Saturdays from 2pm – 4.30pm. 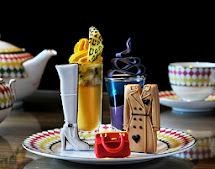 For further information, to book a table or to purchase a Not Afternoon Tea voucher, please emailoxo.reservations@harveynichols.com or call 020 7803 3888. Ahhh I love this! How unique and clever! Although I'd definitely be choosing naughty over nice! Anything with baileys and I'm sold!